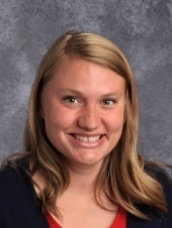 Jessica Atwood started out this year as the Jr. High Office Assistant. She was excited to move to the Early Childhood team when an opportunity came along. Jessica attended Weber State University from 2012-2014 receiving an Associate’s Degree. Her goal is to receive a Bachelor’s Degree in Early Childhood Education, but her college career was cut short due to family circumstances. She loves learning, and feels it a privilege to be working at MMA where she is taught every day from the members of this community. Jessica has plans to return to school next year to complete her Bachelor’s Degree. Family is a particularly important factor in Jessica’s life, she loves spending the majority of her time with her husband and son. Jessica has been married to her husband for 3 years; together they have a beautiful one year old son. Her family loves watching movies, baking/cooking, camping, hiking, and fishing. When Jessica has a moment of alone time you will find her reading a book or cleaning her home. Sharon Gallegos was born in Ogden, Utah. She attended schools in Ogden and Brigham City. 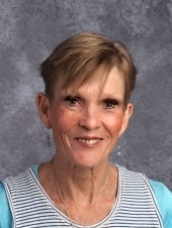 As an adult she had the wonderful opportunity to work at the Utah School for the Deaf and Blind, where she taught the children practical life skills and independence. This experience was one that she will always treasure. 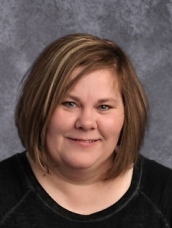 Ms. Sharon has worked at Maria Montessori Academy since it opened in 2010 as an assistant in Ms. Krista’s class. They have worked as a great team these past 6 years teaching, learning and growing together. 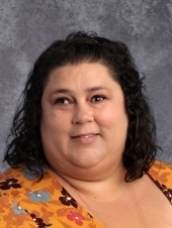 Ms. Sharon has a great love of learning and feels honored and grateful to be able to help the children grow and develop to their full potential. She believes that success in a child’s life begins in the early years of their development and education. This is why she loves the opportunity of working in her lower-elementary classroom. 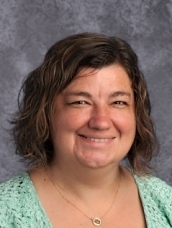 She has found great joy in seeing the progression and success of her past students as they’ve advanced through upper-elementary and junior high. Ms. Sharon has a wonderful and supportive husband. They have seven children and twelve grandchildren, who are the highlights of their life. Some of the things she enjoys doing are cooking, reading, decorating, and traveling. Vanessa Hearrell graduated from Cottey College in Nevada, Missouri with her Associate’s in Science degree. Knowing that her passion has always been to help children, she is currently pursuing a Bachelor’s degree in Early Childhood Education through the University of Phoenix. Vanessa was born and raised in Northern Arizona and has worked with children throughout various activities since she was young. She has been married to her high school sweetheart since 2009 and they have one beautiful daughter together. She moved to Utah when her husband separated from the Air Force after eight years of service. Their daughter also attends Maria Montessori Academy. When she has time to spare, she enjoys scrapbooking, reading, and playing board games with her daughter. Her family also enjoys taking spontaneous road trips both near and far. Vanessa is new to the Montessori community, but is in the process of completing her Montessori assistant training classes. She loves the atmosphere of Maria Montessori Academy and enjoys watching each student learn and grow at their own pace. Her main priority is to make sure all students feel loved and appreciated. It is her greatest goal to make a positive difference in the lives of each student she encounters. Sara stared working with children as an after school job in high school. Since that time she has learned that working with children is her passion. Sara was a child care director for a time but discovered that being in the office was not where her heart was so she went back into the classroom to become a preschool teacher. 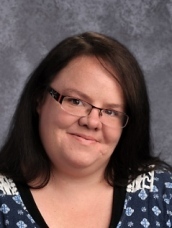 Sara currently has her CDA, NAC, has attended classes at Weber State University and has her Montessori assistants training. She was first introduced to the Montessori method by watching her niece and her daughter learn so much, not just about reading and math but about the universe and the role we all play in it. Sara loves her new job at Maria Montessori Academy, she is thrilled to finally be at the school where her own daughter has learned so much. Sara is a solo parent of a daughter who keeps her on her toes. She also has two dogs, a cat, and during the summer she can have a foster dog or two added to her zoo. Together she and her daughter are avid Harry Potter and Lord Of The Rings fans, they enjoy reading together and going to fan events like comic-con. Sara and her daughter both enjoy doing yoga as a way to relax after a long week or to prepare for the week ahead. They like to hike and spend quality time together and with friends. Sara loves learning and discovering new things. She feels like learning is never ending, and hope to instill that love in the children she works with. Misha Morgan graduated in 2005 from Cyprus High school. She has over 10 years of child care experience (outside of her own children) and 7 years of on-site training/adult education working for a major telecommunication service. Her Montessori adventure began in 2014 as a parent volunteer to her four twin girls. Misha has always enjoyed her time in the classroom both with the children and providing support to the teachers. 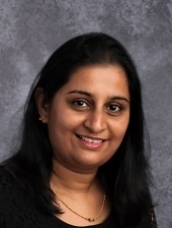 She has ex in both lower and upper elementary classes for the last 4 years.With each child learning differently, Misha loves to help find what works for each child and see the light in their eyes when it all just clicks. During her time as a parent volunteer her love for teaching started to blossom. She developed a love for the Montessori philosophy and wanted to be a part of the incredible culture that Montessori provides. Misha started the 2017-2018 school year as a lower elementary Teaching Assistant. 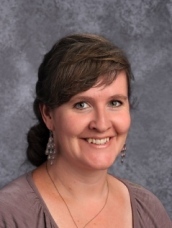 She looks forward to the exciting new challenges and experiences that teaching has to offer her. For the future, Misha is eager to pursue an Early Education Montessori Teaching career. Misha has been married to her "Forevermate", Danny, since April 2014. Together they have four 10-year-old daughters, 8 chickens, 3 geckos, 2 dwarf hamsters, 2 cats and their Boxer, Missy. Their fun-loving family loves to go camping in the Uinta's, hike, fire dance at events, rockhound all over Utah, and have Nerf wars together. 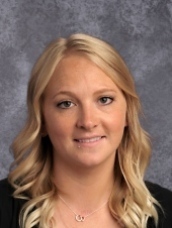 Stephanie Pittman was born in Ogden, Utah but grew up in Boise, Idaho until her senior year of high school when she moved back to Clearfield, Utah. After graduating from high school she attended University of Utah and Weber State College. She became a stay-at-home mom to her kids, Josh and Nikki, until they were both in school full time. At that time, she began an 11 year journey within their school district as a paraprofessional in Special Education. Having lived in North Ogden since 1999, she first noticed MMA when it was being built by the North Ogden pool. With no prior knowledge of who Dr. Maria Montessori was, she did a google search and discovered that the Montessori Method of Education fell right in line with her own personal philosophies of what education should be. When an opportunity became available in MMA’s Special Education department she submitted a resume and was surprised and excited to receive a job offer. This will be her first year at MMA working in the Jr. High as a Special Education TA. In her personal life, Stephanie has been married to her husband, Steve, for 23 years. They enjoy being with their young adult kids who are both in college, and spending time with their four-legged furry friends, Jack and Jill, who, as most dog owners know, are the real rulers of their roost. Stephanie is an avid runner, yogi, and meditator. She also loves to read and play the piano. Sara Weaver attended Delta College in Stockton, Ca where she was raised. She has worked with children most of her life . She has spent 15 years teaching preschool. She developed curriculum for preschoolers in neighborhood preschool co-ops, then worked at Bravo Arts Academy as a 3 year old preschool teacher. She spent 6 years homeschooling her own children, which she loved. When she found Maria Montessori for her kids in 2013, she was hooked. She loved the methodology and it seemed to mirror how she taught her own children at home. She loves children, and watching their love of learning come alive. In March of 2000 Sara moved to Roy, Utah, married the boy next door, and has been in Utah ever since. She and her husband and 5 children lived in Riverdale for over 10 years before moving to Pleasant View in the Spring of 2015. Sara has fallen in love with Utah and doesn’t think she’d ever be able to live without the mountains in her backyard again. You can find her on weekly kikes with her children during the summer months. She also loves camping, walking her 2 dogs, and cooking and baking with her children. Sara is currently working on the Montessori assistant training program, which she will complete in February. Marian has worked with individuals with disabilities since she was a teenager. 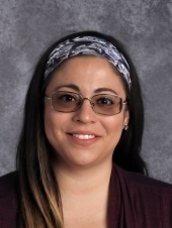 She has had over 18 years of experience implementing and documenting support strategies and behavior plans to ensure the adult or child’s needs and goals were being met. Assisting in individualized education plans (I.E.P.) for four children on a yearly basis has helped her understand the importance of tailoring the right goals and following them to help the children succeed in the classroom. She’s had 12 years experience working with children on the autism spectrum, and over one year working with an adult on the autism spectrum. She also has over 10 years experience with children with speech delays, behavior plans, learning delays, math and reading goals. Marian is passionate about teaching children through positive, open communication. Her daily experience with children who have special needs, along with her problem-solving skills, creates stability and adaptability in the work community. Over the last year, she has completed over 30 hours of courses focused on guiding children to make their own wise choices. Marian learned about Maria Montessori Academy when her children began attending in 2011. She has volunteered in all aspects to support the school. This includes classroom help, creating works of art for the Gala, assisting in field trips, going over reading passages, teaching science lessons and anything the teachers asked her to do. She is a strong believer in the Montessori Method and has seen her children move from several grades behind, to on grade and beyond. She looks forward to seeing that in the children she works with at the school. 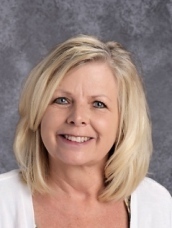 Petra Cook was raised in Ogden, Utah and graduated from Ogden High School in 1994 and later attended Weber State University, where she studied nutrition. Petra married her husband Brandon Cook in 1998 and started a family having Ethan, Ayden and Isabelle. Petra stayed home to raise and home school the children as well as help Brandon with his career as a professional artist. Later when the kids started to attend public school Petra would volunteer in classrooms on a regular basis. In 2012 and 2013 the family made the decision to go out on the road due to the poor economy and art market where they spent many months traveling with their trailer doing Fine Art Festivals around the country. Most of the time was spent in New England and the Midwest where Petra home schooled the children full time and gave them the opportunity to visit many museums, historical sites and see beautiful areas of this amazing country. What was thought to be a hardship turned into an amazing experience for the whole family. Petra Joined the MMA staff in 2016. Petra and her family now reside in North Ogden where she enjoys going for walks, playing with her kids, dancing and eating good food. Carl Joglar is a certified Service Coordinator with over ten years of experience as a proctor parent and tracker within the foster care system. Specializing in a program for independent living, he has successfully provided care and guidance over the years for children in foster care, teaching them life skills to better prepare them for the future. Additionally, he has worked largely with troubled youth, focusing on emotion management and healthy coping skills, both in foster care and in group home settings. He is very grateful that the rewards for his services have always come in the form of heartfelt appreciation from superiors, associates and, most-importantly, from the children themselves. Originally from New York, Carl is also an author, filmmaker and award-winning screenwriter. His name has appeared in The Hollywood Reporter, he has been a guest speaker at Comic-Con, and was interviewed on Utah's 97.1 Morning Radio Show to discuss his YA contemporary Sci-Fi novel, THE PERILS OF QUAD, which has received many favorable reviews, including praise from The Herald Journal. Given his background, Carl tries to incorporate creativity and imagination in working with children as often as possible. He spends every free moment with his amazing wife, who is a Social Service Worker, and his wonderful little girl, who also attends Maria Montessori Academy. 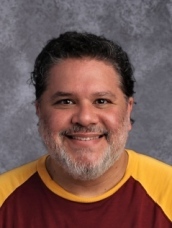 While regularly furthering his training in the Montessori Academy and in foster care, Carl uses his knowledge and experience in providing the best assistance possible and in full support of the Montessori Method of learning. My name is Kari Kimose. I have lived in Utah most of my life. I am married and have 3 children; 2 daughters in Jr. High and a son in upper el. We have a pet tortoise. I am a silly mom and love to sing, dance and laugh with my family. We enjoy our weekly movie night, “daycations”, bike riding, camping, fishing, and gardening. You'll also find me cheering for my children & their teammates at cross country meets, soccer games & bowling leagues. In my spare time, I can often be found taking several photos of anyone and anything! I also like to help others and read. I love working with children and enjoy watching them learn and grow. It is thrilling to see their minds and hands at work in a warm, inviting, respectful, quiet environment! My goal is to be a positive example and mentor to our children attending Maria Montessori Academy. I am amazed by their self-confidence, creativity, independence, and desire to learn more and more! I hope to share my love of reading and learning with them. I am honored and fortunate to work at MMA with Ms. Amity as her teaching assistant. I am very excited to work as the librarian and share my love of books with each student! I am grateful that MMA provides an entertaining education and so much more. I am proud to be a part of the MMA team! 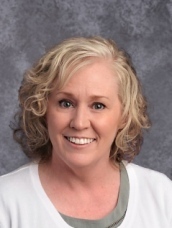 Susan has her Master degree in Elementary Education from Weber State College. She taught 2nd and 3rd grades in the public schools for about 15 years. 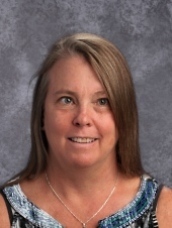 Susan currently has a Utah Teaching Certificate and keeps it current every 5 years by taking classes, workshops, and seminars to improve and further her education. 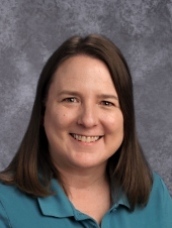 Susan has done a lot of substitute teaching in Nebraska and Utah, grades K thru 12th, in all subject areas. 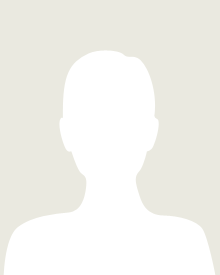 She is currently working as a TA at Maria Montessori Academy and has taken the Montessori foundations course. Susan has been married for thirty-one years. She took time off from teaching to raise her family. She has 5 children. Four are very happily married and youngest attends Snow Crest Junior High. She currently has five grandchildren and is sure that number will increase. She loves being with her family. Together they go to sport activities, go on trips, parties, boating, camping, etc. They do a lot together and love every minute of it. Susan is very active and involved with her religion. Susan lived in Nebraska from 2001 to 2009 and now has been living in Eden, Utah for the pass seven to eight years. Susan gets very involved with all athletic sports with her children, soccer being number "1". Susan recently ran in the Huntsville Marathon (half), and received first place in her age category. She is now getting ready to do the Ogden Marathon in May of 2016. Susan loves to work outside in the yard, planting, weeding, mowing, weed eating, etc. She is currently working at Maria Montessori Academy as a TA in the upper elementary. She just finished a training for Montessori TA's. Susan is learning a lot, and enjoys what she is doing! Christie Taylor earned a bachelors of science at the University of Utah in human and child development in 2002. She then obtained a competitive year-long internship at Primary Children's Hospital and the University Neuropsychiatric Institute and earned a national child life specialist certification. After her internship, Primary Children's Hospital hired her to teach children about the hospital and help children – often with life-threatening diagnoses -- cope emotionally and psychologically with the hospital experience. She did this for several years until she moved to Michigan where her husband finished attending school. 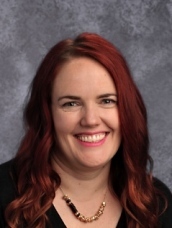 When Christie moved back to Utah, she discovered Maria Montessori Academy near her new home and felt lucky to get both her children enrolled the first year it opened. Her daughter attended from fourth grade to 9th grade and her son started kindergarten here and is currently in the junior high program. 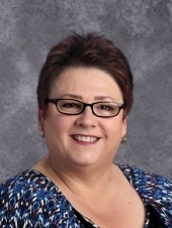 As her children were getting older, she started working as a substitute at the Maria Montessori Academy and this year has loved having the chance to work as a teacher’s aide with Ms. Shanan, who was her son’s teacher for five years. Christie loves getting to know all the children in the class. A native of Salt Lake City, Christie now loves living in Pleasant View where in her spare time she makes wedding and birthday cake creations, chases around her 25 chickens and builds swings, shelves and other items for her home and yard. Wendy Lee was born and raised in Utah. She is currently a Sped Aid in language arts for the Jr. High. Wendy is Praxis certified. She is new to MMA this school year. She is a mother of 4 children and has 3 grandsons! She loves to spend time with her family. She has a passion for traveling, especially if there is a beach. She connects with students and hopes to make a difference in their lives! Robin worked at RISE Services, Inc. and Horace Mann Elementary in the special education department. People know her to be a calm person while performing the task assigned. She developed a reputation through Special Education of handling the assessment and teaching basic social skills. These jobs were meaningful to Robin because they taught Robin the ability to assess individuals based on their individual capabilities. Robin has Mandt Training, CPR, First Aide and Early Childhood Education. Her certificates include Praxis Test, Government Initiative started by Michelle Obama called “Let's Move!”, Job Accommodation Network including finance, coordination and supervision supporting mandated programs for the disabled. Robin's involvement with Maria Montessori Academy (MMA) Special Education team insures IEP are met per the requirements set forth by the MMA Special Education Department. 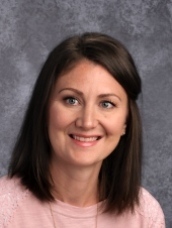 Jamie C. Pugmire started out as a parent volunteer at Maria Montessori Academy in 2011 helping the Tier Two Reading students, Jamie also filled in as a substitute Teachers Assistant as needed during the 2011-2012 school year. 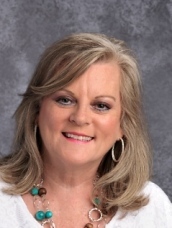 In 2012 Jamie joined the Maria Montessori Academy Tier Two Reading Staff assisting Kathy Chandler and Lynette Jensen with students who needed extra help with reading. 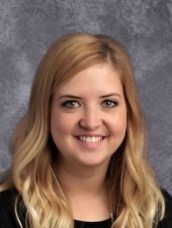 During this time Jamie received her Para Professional Certificate and has taken several classes on Phonemic Awareness through the Utah Education Network (UEN) and has been mentored by amazing teachers and staff. Jamie continues to learn and take classes to improve her knowledge in Tier Two Reading. Jamie attended San Joaquin Junior College in Stockton, California for two years taking her general education classes. Got married and put her education on hold to help her former husband achieve his dreams. 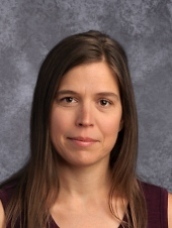 As a parent Jamie Pugmire volunteered as Maria Montessori Academy PTO Treasurer for three years and stepped down in July of 2015. Jamie C. Pugmire was born and raised in Northern California. Jamie is the mother of three children, two young adult sons (one son served proudly in the United States Marine Corps for eight years) and a daughter who attends fifth grade at Maria Montessori Academy. 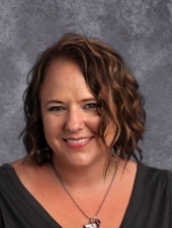 Jamie moved to Utah from California in 2003 with her two teenage sons as a single mother to marry Kirk Pugmire and their daughter was born three years later. Jamie is very invested in the school and in helping Maria Montessori Academy grow into a first class school of primary education for our wonderful student body and the children she has grown to love. Jamie tells everyone she meets about Maria Montessori Academy and spreads the good news that there is a wonderful educational experience awaiting their child.